EpilatorGirl > Shaving > Tinkle Razor Review: Should Women Shave Their Face? Tinkle Razor Review: Should Women Shave Their Face? What’s with this Tinkle razor review? I’m aware that some of you haven’t even heard about this special facial hair removal tool. That’s where my review comes in handy. Or maybe you’ve heard the name in passing but you don’t know exactly what it is or how to use it. Stick around. Let’s talk more about this facial hair removal. What are the advantages for the Tinkle razor? Tinkle razor: where can you buy it? Can you use the Tinkle razor for a complete facial hair removal? What type of hairs does it remove best? 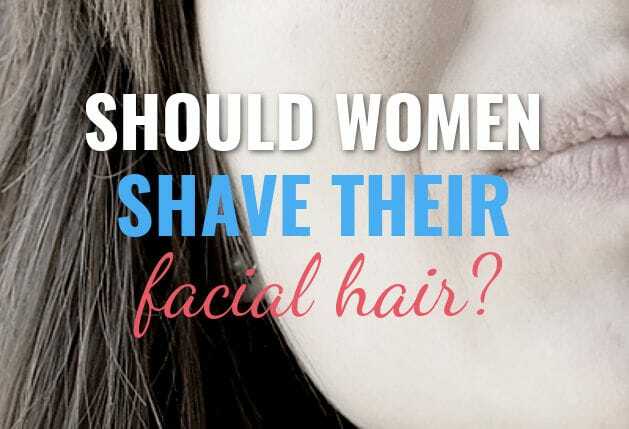 Should women shave their facial hair? 2. speaking of, hair removal creams might cause the darkening of the skin, unless you use the Olay Smooth Finish Facial Hair Removal Duo but that’s pretty expensive but using this razor will leave your skin looking amazing, rejuvenated even. 3. it’s cheap, like really really cheap. 4. there’s no much work involved: you shave the hairs directly on dry skin without needing any shaving cream or balm. 5. it’s really fast, faster than any other facial hair removal method. 6. moisturize after because the Tinkle razor also acts as an exfoliator so you need to sooth your facial skin. 7. since it’s a kind of an exfoliator you can skip exfoliating once you start using the Tinkle as a facial hair removal tool. The hairs will soon be back, in up to 5 days you will definitely have to use it again. It actually depends from person to person. I must clearly say in my Tinkle razor review that some women might end up using it daily. The good news it that the hairs won’t grow back thicker. The same hair will regrow in the same shape and thickness. That’s about it, I cannot think of another disadvantage. Let me know if you have discovered another. Now that I’ve got you interested maybe you would like to try it. Naturally, there’s the question where to buy this Tinkle razor? The easiest way is to buy them online but there are also sold in drugstores. The straight answer it yes. You can use it on every part of the face where you have even the smallest hairs, it will cut everything: upper lip, sideburns, chin, cheeks, and so on. You can use it around the eyebrows as well. It’s small so it won’t ruin your shape. Once you have your eyebrows shaped you can use this facial razor to maintain the shape or to remove the hairs that are too thin for the tweezers to grab and pull from the root. The Tinkle is quite the impressive facial hair removal tool and can be used to remove peach fuzz and coarse hairs, no matter what skin type you have. I am aware that for many women peach fuzz is a source of anxiety. It definitely becomes visible in the summer under that wonderful sunny warm light that can be so merciless because it reveals everything. I have a lot of peach fuzz. I have dark hair and I’ve always envied blondes. Not for the color of their head hair but for the color of their body hair. However, I’m in my late twenties and my peach fuzz has definitely changed since I was in college. That’s when I started analyzing my facial hair. Since then, it has become more and a bit darker. I’m not planning on removing it any time soon. Am I bothered by it? You bet that I am. But I’m also lazy, incredibly so, and I already remove almost all of my bodily hair. I don’t need to add more to the list, not for a few more years. I’m writing this Tinkle razor review but when the time comes I’m still going to use an epilator to get rid of my peach fuzz and my sideburns and my chin hair and so on. I’ve got nothing against shaving, even when it comes to shaving facial hair but I prefer methods that offer a smooth skin for longer, like epilation, waxing, and threading. If you want a painless facial hair removal method, I think that my Tinkle razor review might just have provided you with the answer. I think this is kind of a taboo topic. When talking about shaving our mind automatically pictures a man standing in front of a mirror with white snow foam covering his face, hot running water and a safety razor in hand. The image has changed slightly over the years because not everyone uses a safety razor anymore. That’s not the same painting when we talk about women shaving their facial hair. There’s no usual razor involved. No water running and no foam. The Tinkle is actually all you need and you can use it directly on dry skin. It’s special and I’ve said that a number of times in my Tinkle razor review. Shaving shouldn’t be regarded as a weird action, even though instead of a man we picture a woman. If you don’t want to resort to a painful facial hair removal method (threading, waxing, epilation) you should give facial shaving a chance and see how it goes. That’s the most important thing that I wanted to express in my Tinkle razor review. And please remember to moisturize after each shaving, use your usual facial cream.